On this page, I would like to give away my first impressions of using the Panasonic TZ202 camera. Regrettably, the viewfinder image is comparatively small. I find it also fairly dull, lacking contrast, and often appearing somewhat fuzzy to me. I cannot see the pixels, which is nice, but this is not that important for me. It is really the size of the viewfinder image that matters for me, not only for manual focusing, but also in general. Focusing (Control Ring): Can be "manually" set at the lens by turning the Control Ring - and needs some practice, because it it "by wire" and not mechanical. But using MF Assist (screen magnification) and (Focus) Peaking, I am successful most of the time. Cons: The manual focus has some hysteresis, but it works better than on my Sony cameras. Zooming (Zoom Lever): Can be done using the Zoom Lever. You can also set step zoom (zooms in predefined steps that correspond to "standard" focal lengths). Mode: Mostly, I use the camera in P mode, sometimes in A or M mode. Switching to A or M mode is easy thanks to the Mode Dial on the camera top. Exposure compensation: The "Up" cursor key is firmly assigned to exposure compensation. Exposure can be corrected by pressing this button and then rotating the rear dial. Occasionally I had fixly assigned exposure correction to the rear dial, but this resulted in unwanted limitations, so that I canceled this assignment. MF Assist (Screen magnification): I set it to "automatic" so that it is activated whenever I turn the control ring at the lens (MF Assist). By turning the rear dial, you can increase magnification up to 6 x. Focus area: Changing the size and position of the focus field (Focus Area Set) can only be accessed using a function button. I reassigned the Fn1 button to function Focus Area Set. Self-timer: Is rarely used by me... I can access it by presssing the "Down" cursor key, which is firmly assigned to Drive Mode. Focus mode: The left cursor key is firmly assigned to the Focus Mode function (AF, MF, and more...). Q.Menu (Fn3 Button): Provides access to some functions that I use more often so that I need not dive into the menu system for these functions. 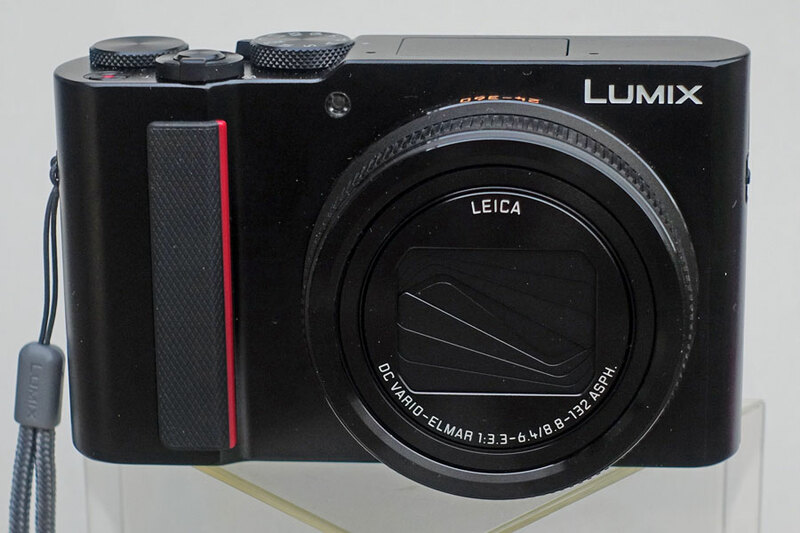 With 340 g "operating weight," the Panasonic TZ202 is not light, but it is also not heavy. 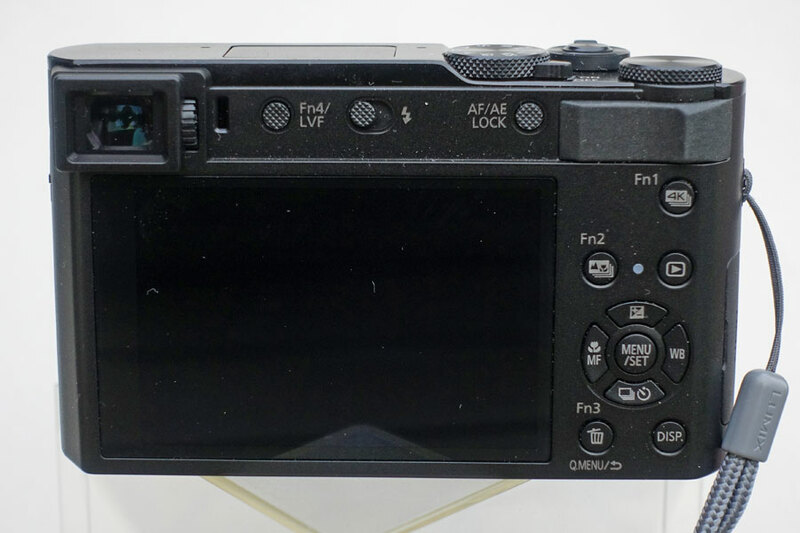 It appears almost lighter than the actually lighter Sony RX100 M4, probably because it is larger. 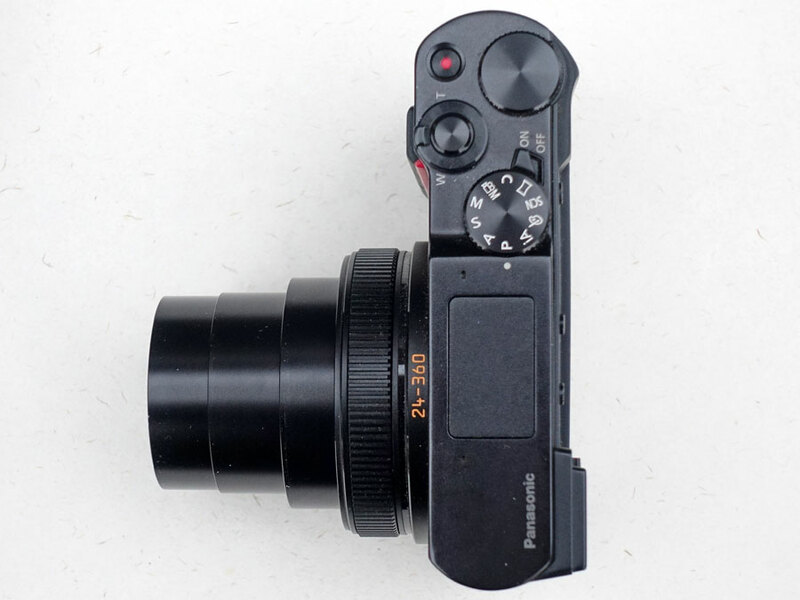 The Panasonic TZ202 is not a camera for your trouser pocktes, but still a pocket camera, for example for your coat pockets. It is bigger than the Sony RX100 M4, but for me easier to use for this reason. 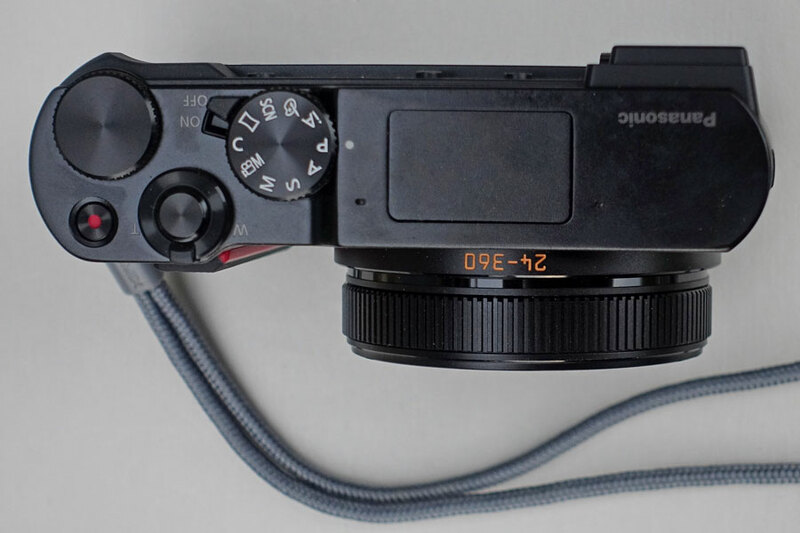 Compared with the Sony RX10 M3, it looks like a dwarf - even when the lens is extended. All in all, the lens is definitely the most important component of this camera. With a focal length ranging from 24 mm to 360 mm (equivalent), it offers the largest range yet for a compact camera with a 1" sensor (February 2019). For me, the close-ups behavior of the lens is also important. This means, above all, that I want to achieve high magnifications even from greater distances (1 m and more). This requires long focal lengths, and therefore the close-up limit at these focal lengths must be short enough for sufficient magnifications to be achieved. 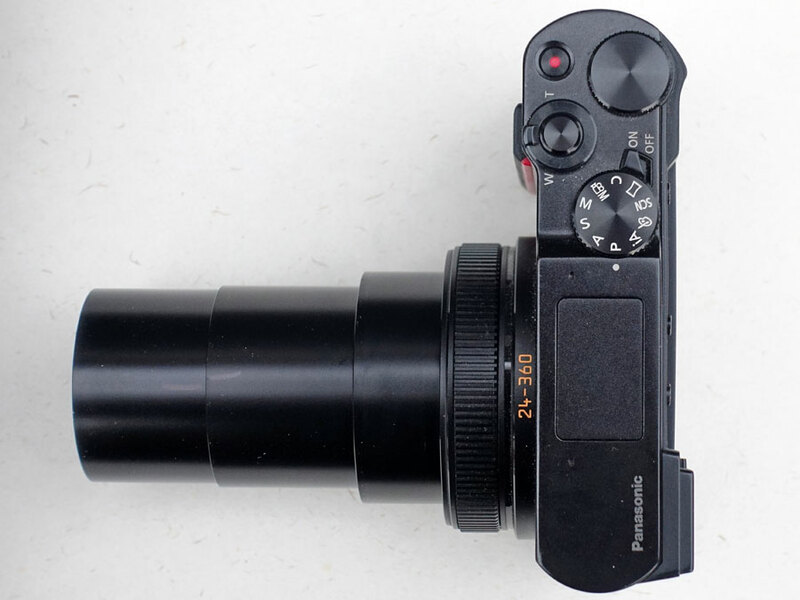 The lens of the Panasonic TZ202 has its "sweet spots" at 160 mm and 360 mm, where the minimum object width is about 11 cm - at 160 mm at a distance of 50 cm, at 360 mm at a distance of 1m. Of course, high magnifications at the wide-angle end are also welcome if the objects are close enough and do not run or fly away (shading can be a problem, though). The lens magnifies the most at 28 mm (minimum object width 5 cm), where shading can be a problem. 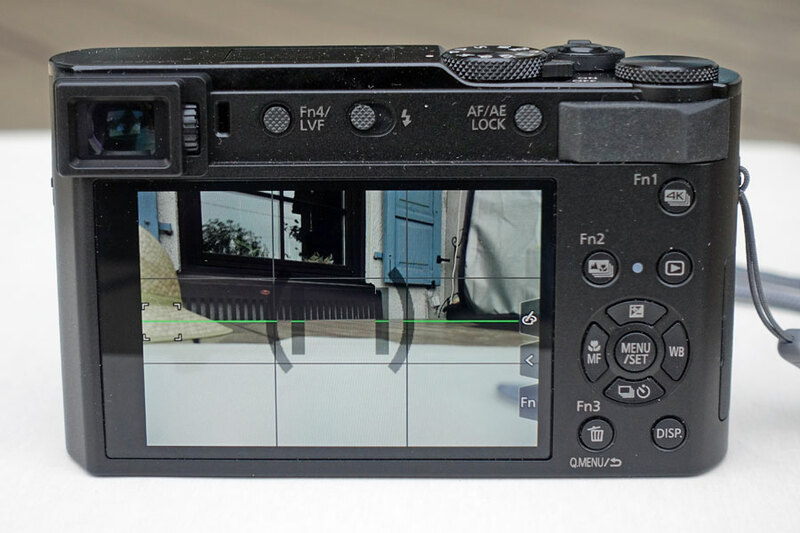 I like the Panasonic TZ202's viewfinder the least of the three. It has the lowest magnification, and often the view looks of pale and blurred. Manual focusing: Manual focusing with the control ring at the lens is a pain for me, because it is "by wire" and sluggish. AE Lock indicator: The activation of the AE lock is only shown on certain screen displays (display with detailed information) at the bottom left. In my opinion, it should appear on every screen (like Sony does it), because this information is so important. The function for switching the display style is a bit confusing for me - it is always done for the currently active part, i.e. the viewfinder (when you are currently looking through it) or the monitor (on which you are currently looking)!